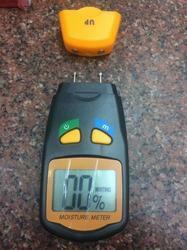 Moisture Meter (Infrared Drying). This is a rapid tool especially useful for paper, Paper board, corrugated stock, paper tubes. Infrared Drying for greater accuracy and reliability. Direct percentage on meter with a least count of 0.1% moisture. 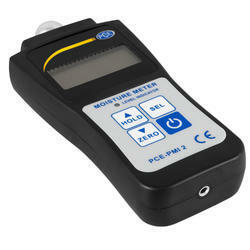 The P-2000 is an electrical resistance type moisture meter, utilizing the relationship between content and electrical resistance. The contact Pin mounted on the top of the meter are used for making direct contact with the material. - Bright, clear digital display.